Fishermen and women are known for telling big stories and for having big hearts. 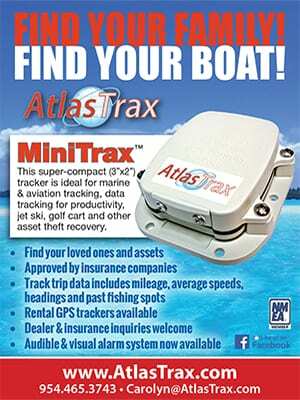 Nothing illustrates big heartedness more clearly than what the folks at MISSION FISHIN’ are up to here in South Florida. 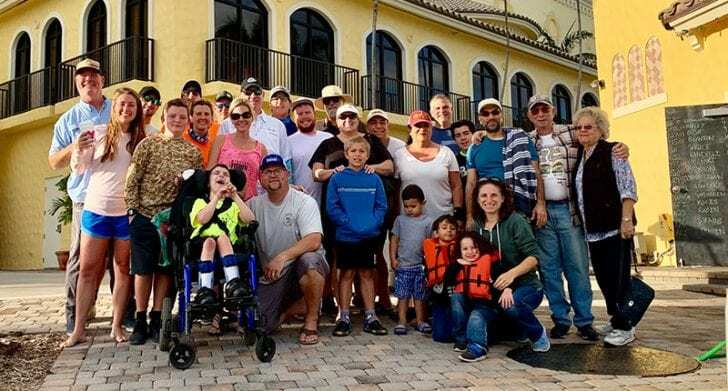 Founded in 2015 by Broward County residents Tony Davis, his wife Alison and R.J. Boyle, MISSION FISHIN’ was created with special needs children in mind. 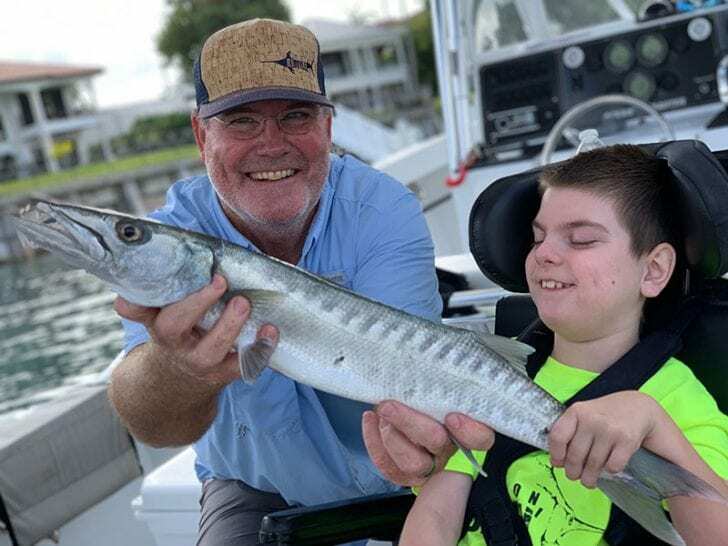 MISSION FISHIN’ partners with local fishermen and women, businesses, organizations and ordinary citizens, to provide special needs children, their families, caregivers and teachers, unforgettable experiences on and around the water fishing and boating. Tony and Alison Davis are the parents of three wonderful sons. Their youngest, 10 year old Joshua was born with Spastic Quadriplegic Cerebral Palsy, Cortical Vision Impairment, Epilepsy and Gut Motility Disorder. The Davis’ and thousands of other families like them, face challenges that can at times be overwhelming. 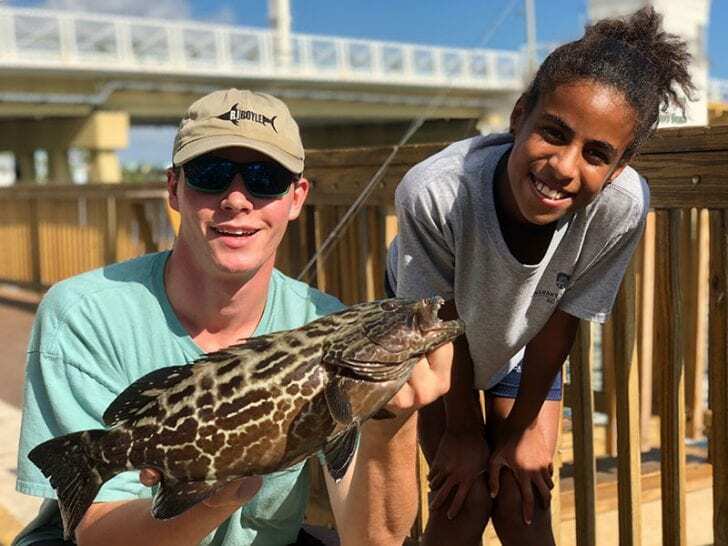 Mr. and Mrs. Davis and their other two sons, Austin and Christian, are enthusiastic about fishing and boating and wanted to find a way to include Joshua in their family fishing activities. A chance meeting with R.J. Boyle at his tackle shop in Lighthouse Point and his willingness to get Joshua on the water, led to the formation of what is now an official 501c3 organization that helps special needs children from all over South Florida enjoy what the Davis’ experienced on that first fishing trip provided by R.J. for Josh. Time on the water can have an amazingly positive and powerful impact on these very special children. These experiences bring joy, hope and a sense of purpose and inclusion to those with special challenges. Experiences like this also bring a few hours of escape and relief from the endless emotional roller coaster, commitment and work required of their parents, caregivers and other family members. These experiences certainly bring joy to the children and their families, but also to the volunteers that make it all possible. Volunteering one’s time to helping children in need is the most satisfying and fulfilling experience a human being can have. Ask any of the amazing people that participate and they will tell you that there is no greater feeling of accomplishment than seeing the smiles and hearing the laughter of these amazing children, when catching or touching their first fish or simply feeling the wind blowing through their hair. These children are a great gift to all of us and they have the ability to teach, inspire and motivate. They give all the love they receive back to those who serve them, tenfold. MISSION FISHIN’ ended 2018 by providing more than 60 families with an experience of a lifetime, including two events during the first week of December. 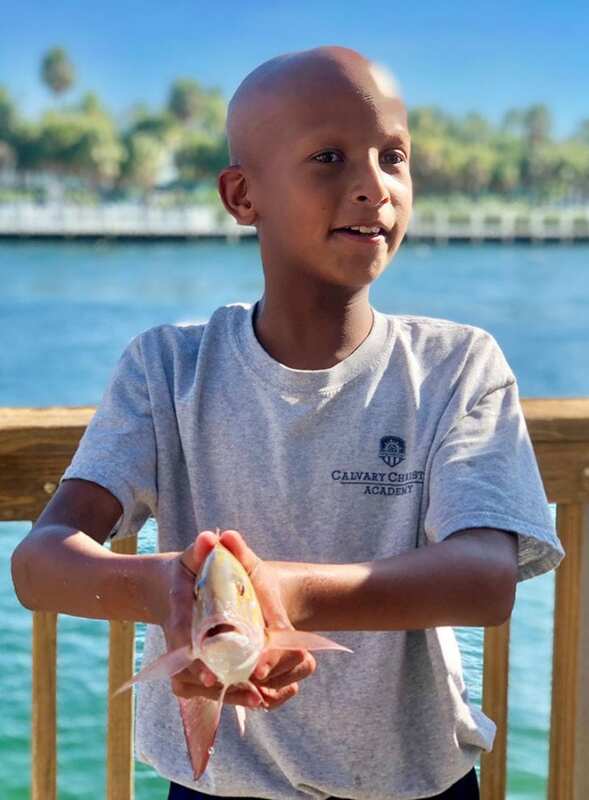 On Monday,December 3rd, they hosted a land based fishing field trip at Hillsboro Inlet Park for nine children from the Varying Needs Program at Calvary Christian Academy. They then finished off the year with a boating and fishing excursion for 6 families out of Marina One in Deerfield Beach on Saturday December 8th. On both occasions, every child participating caught fish and learned something about the great outdoors. For some parents, it was the first time they saw their children smile and laugh in months. MISSION FISHIN’ is actively planning their 2019 events schedule and will be expanding their reach. They need deserving families, volunteers and donations to grow what has become a truly empowering organization. If you know a deserving family or child that would benefit from one of these experiences or if you would like to make a tax deductible donation, volunteer your boat, fishing skills or time to one or more of these outings, visit www.missionfishin.org or call Tony Davis at (954) 778–6684, Tony DiGiulian at (954) 895–6635, or R.J. Boyle Studio at (954) 420–5001.